Xiaomi has taken to Twitter to tease the reveal of a new product on February 13. The caption on the teaser reads, "Never Take Your Eyes Off"
Xiaomi has teased the launch of a product on social media. The teaser hints that the device could be a camera. Xiaomi has teased the launch of many of its products on Twitter and other social media handles in the past, be it the launch of a new TV or a smartphone. While most Xiaomi enthusiasts are expecting the launch of the Redmi Note 7 in India, the company has taken to Twitter to tease the launch another product, possibly a camera. As with all teases, let the speculations begin. The first hint that this is a camera of course comes from the layout of the image. It has the traditional REC symbol with the traditional borders found on a camcorder. 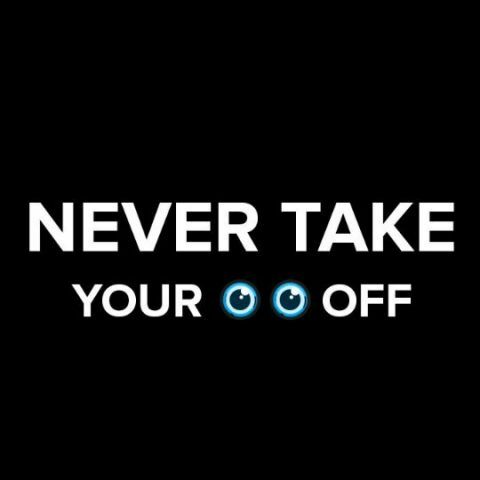 However, the biggest hint that leads us to believe that this is a 360-degree camera is the fact that the caption reads, “Never Take Your Eyes off”. The caption could also hint at the launch of a new security camera. Traditionally a camera needs to point in the direction you are looking to capture. The only way you can capture everything around you is that if the camera is a 360-degree camera. That's exactly what the Mi Sphere Camera is. On the other hand, a security camera helps you “never take your eyes off” of your home or loved ones. Hence, it could also be an upgrade to the Mi Home Security Camera. Speaking of some of the features of the Mi Sphere Camera, it has a 23.88 effective MP sporting the Sony IMX 206 sensor, the ability to shoot video in 3.5K and also boasts of 6-axis EIS. The camera is IP67 rated for water and dust resistance. It is a mere 108.3g in weight and can stream in 1440x720 at 30fps. It can record video in 3456x1728 at 30fps, 2304x1152 at 60fps and 2304x1152 at 30fps. It is powered by a 1600mAh battery, which according to Xiaomi can last for 75 minutes of video recording with Wi-Fi on and 90 minutes video recording with Wi-Fi off. The camera supports 2.4GHz Wi-Fi only and for storage can house a microSD card (up to 128GB). If it is an upgraded Mi Home Security Camera, then it could be the one currently available internationally. The Mi Home Security Camera that is available internationally can shoot in 1080p and has a 130 degree ultra-wide angle lens. It also sports a 10m infrared range, night vision scope, zoning classification and two-way voice communication. The camera weighs a mere 116 grams and works on both 2.4GHz and 5GHz bands. All this is just speculation and Xiaomi could reveal something else entirely. Xiaomi has a portfolio of products that aren't available in India and it could launch one of them on February 13. Xiaomi already has The Mi Home Security Camera 360 available in India. We spent some time with that camera and in our impressions we noted that “All-in-all, the Mi Home Security Camera is a pretty useful and effective surveillance device, that is if you are okay not cutting the cord. It definitely is a good buy for someone who does not want a very complicated CCTV setup as it's priced quite well at Rs 2,699.” You can read more about the 360-degree camera here.